HP’s AMD Ryzen 3000 and Intel Core i5/i7-based Envy x360 15 convertibles use exactly the same sand-blasted anodized aluminum chassis and thus have the same dimensions (17 mm z-height) and weight (~ 2 kilograms). The only visual difference between AMD and Intel-powered Envy x360 15 PCs is the color: the former features HP’s Nightfall Black finish, whereas the latter features HP’s Natural Silver finish. 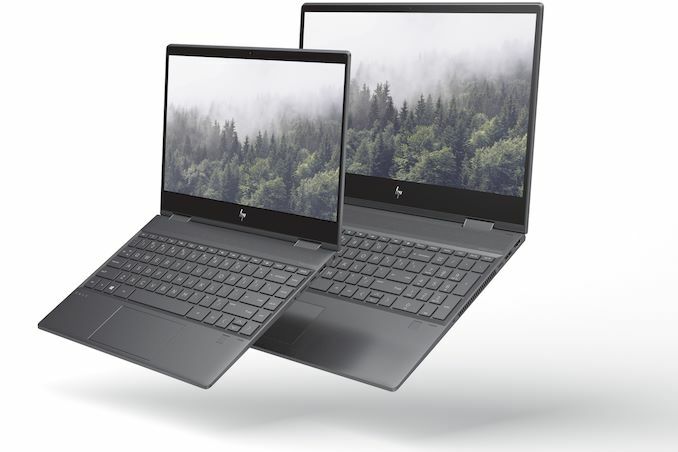 Overall the new 15.6-inch Envy x360 convertible laptops feature a 28% smaller bezel when compared to the previous generation according to the manufacturer. 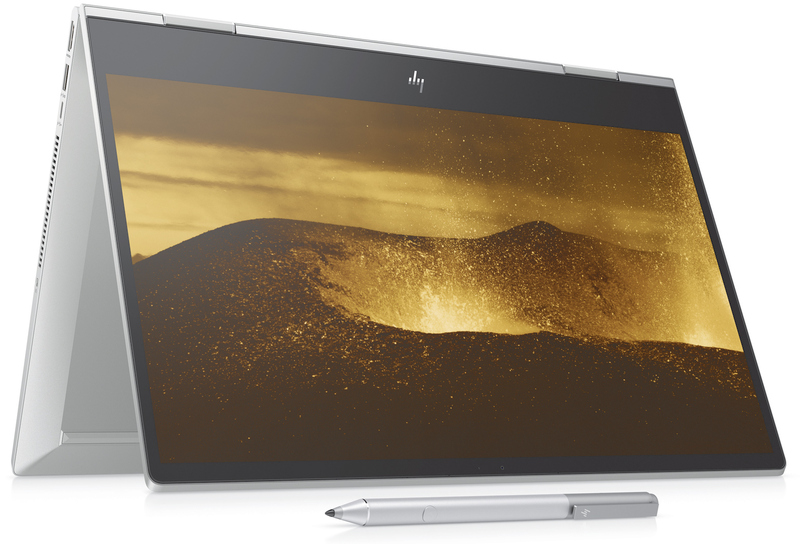 Meanwhile, all the HP Envy x360 15 machines introduced today also use the same 15.6-inch Full-HD IPS touch-enabled display panel featuring a WLED backlighting. 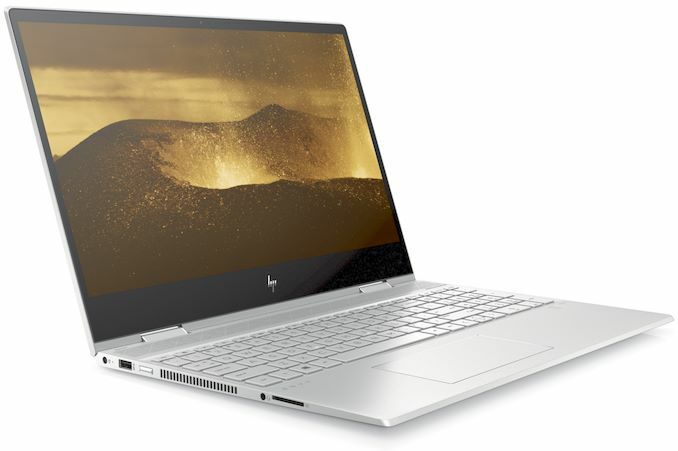 Inside the new AMD-based HP Envy x360 15 convertible laptops are AMD’s quad-core Ryzen 5 3500U or Ryzen 7 3700U processors with integrated Radeon RX Vega 8/10 graphics. The APUs are accompanied by 8 GB or single or dual-channel DDR4-2400 memory (depending on the region) as well as a 256 GB NVMe/PCIe M.2 SSD. As for Intel-powered Envy x360 15, they use Core i5-8265U or Core i7-8565U CPUs. UPDATE 3/27: HP has notified us that all the new Envy x360 15 support dual-channel memory. However, in some regions the machines will ship with a single 8 GB memory module (thus using one DRAM channel), but in some others the PCs will ship with two 4 GB DIMMs (thus using two DDR4 channels and offering a higher memory bandwidth). As far as connectivity is concerned, everything looks rather standard: the systems feature a 802.11ac + Bluetooth 5.0/4.2 controller from Intel or Realtek, one USB 3.1 Gen 1 Type-C connector (with DP 1.4), two USB 3.1 Gen 1 Type-A ports, an HDMI output, a 3.5-mm audio connector for headsets, an SD card reader, and so on. The new Envy x360 15 also has an HD webcam with a dual array microphone and a kill switch, a fingerprint reader, Bang & Olufsen-baged stereo speakers, and a full-sized keyboard. 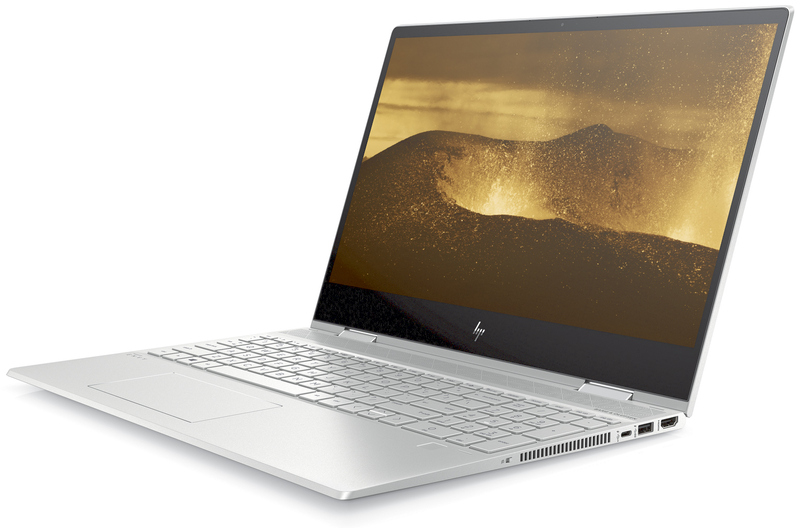 When it comes to battery life, HP claims that its AMD Ryzen Mobile-powered Envy x360 15 convertibles offer exactly the same battery life as Intel-based machines: up to 13 hours of mixed usage when equipped with a 55.67 Wh battery. 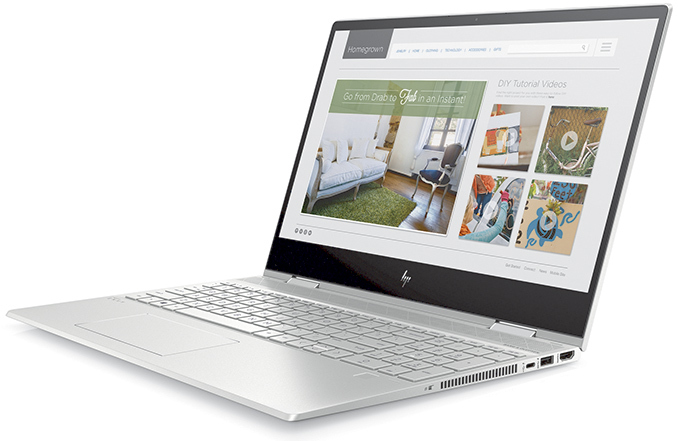 HP will start sales of its Envy x360 15 convertible notebooks with AMD Ryzen Mobile inside this April. Pricing will start at $799.99. By contrast, a system featuring Intel’s Core i5-8265U with a generally similar configuration will cost $869.99. I've taken a look at service manuals of prior Envy x360 AMD laptops, those seem to have dual slots. this is NOT AMD making such "choices" never is, they do the base "spec" which they have approved, their various partners can and do constantly muck with amount of ram, soldered or not etc etc etc.....they are not as "iron fist" as Intel would be, nor do they ultimately have a heavy enough hand to force any major OEM to bend over and do it the way they tell them to... unlike Intel, Nvidia, Apple and some others who can tell the OEM to "do it this way or else"
All that being said, many many times OEM or whatever such as Dell, HP, Acer etc "cut down" the AMD offering and yet "up" the Intel offering in regards to possibly soldered or non soldered components (including ability to add) battery size, thermal limits, cooler design/capacity etc etc. Which is why I believe AMD should have preempted all of this and released their APUs with HBM sideport memory, or at least higher specced versions of their APUs with HBM. Instead, Intel beat them to the punch (using AMD's own GPUs! ), and the remaining laptops are at the mercy of ODMs. This is NOT about cost. The "savings" are less than minimal. Actually , considering that the past 2 versions of AMD-based HP Envy x360 already HAVE dual DIMM slots, HP would actually have to SPEND MORE money to change the design, test & certify the new version. IF this has happened (I don't believe it) it might as well be a personal discussion between Intel's HP contact and HP's guy responsible for the the development and design of the Envy x360 line. Intel might have offered something to HP and asked HP to handicap the Ryzen Mobile systems, because the systems released last year, trounced most of the HP Intel-based lineup. I have been in this industry for more than 23 years now and I've been part of such "dirty" discussions. No matter if this actually happened or not, trust me : it costs HP MORE money, to change and re-certify the design, than reuse the old one. We all know that AMD Ryzen benefits from better memory bandwidth & latency, therefore it would be a simple thing for Intel to ask HP. Issue with battery life is the CPU has high power draw when idle. I don't believe there is any fix for this.